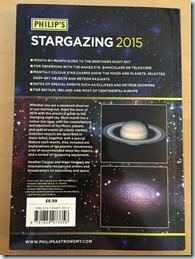 If you’re new to stargazing and want to know what’s up in the night sky each month, then this is the book you want to buy. 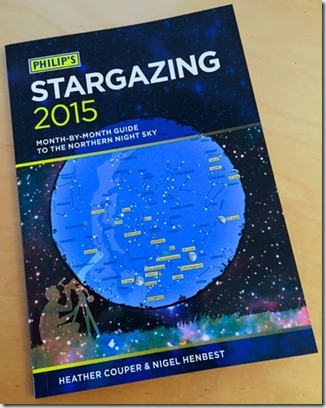 It’s the Philips Stargazing annual book, it’s cheap (£6.99 at Amazon), it’s handy and it’s full of useful information. I was surprised when they asked for one of my photographs, especially when there are much more impressive images out there from more esteemed photographers than I. The image they used was this one of the Flaming Star Nebula (right) and IC 410/NGC 1893 (left). I am thrilled to have been included in this publication, especially as one that I have recommended to beginners and newcomers alike. 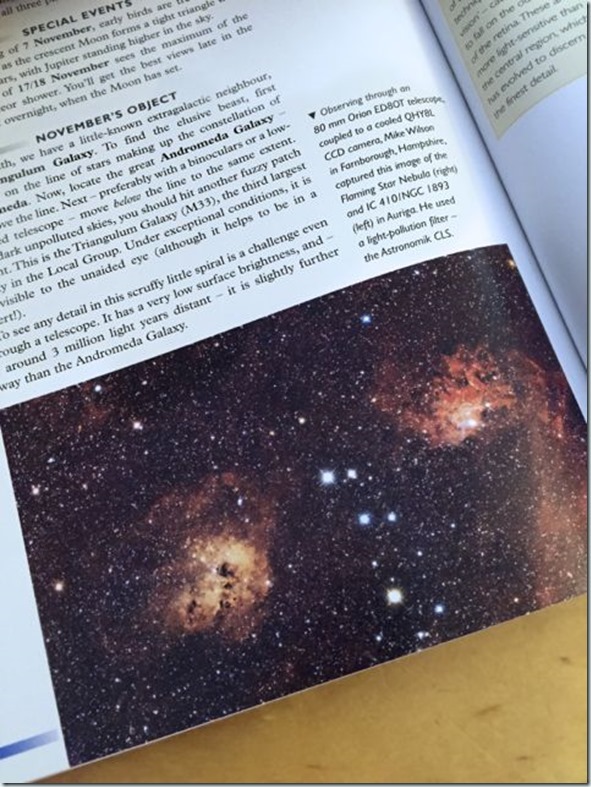 If you are a visual observer of the stars, this plus a copy of Turn Left at Orion and a pair of 10×50 binoculars may be all you need to get started enjoying the beauty of the night sky from your own backyard.